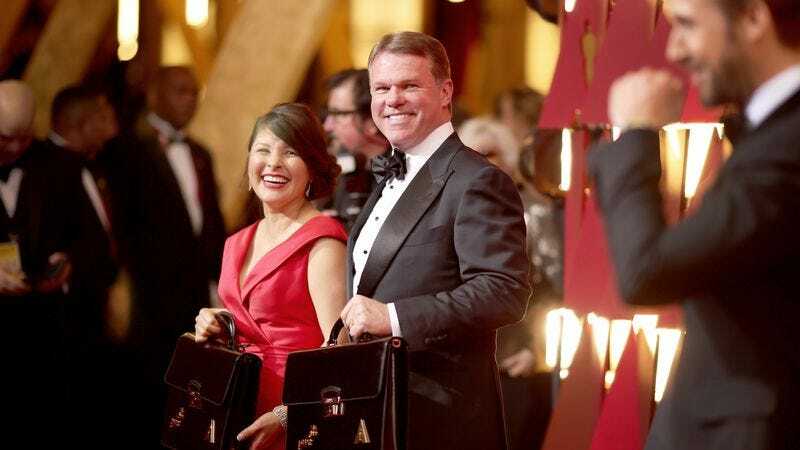 The accounting firm has been tabulating and then handing off the Oscars results for more than 80 years, with relatively little in the way of mistakes. (Sammy Davis Jr. was given the wrong envelope for Best Music Score in 1964, but that’s about it.) The company has publicly apologized for the mistake twice now, with the second statement specifically naming Cullinan as being responsible for making the mistake, and then both him and Ruiz for not correcting it until the La La Land producers were well into their acceptance speeches for the award they didn’t actually win. The Academy has yet to comment on what this might all mean for its near-century of association with the London-based accounting firm.